Order Ritchies Beer & Wine Finings from the Stirling Homebrew Shop UK. 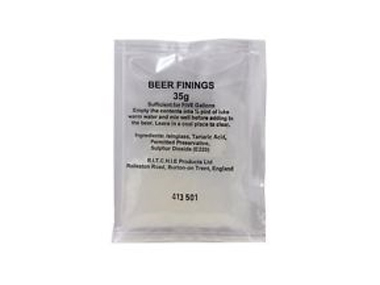 Buy Ritchies Beer & Wine Finings and other Homebrew Chemicals safely online in the UK. These wine finings are enough to treat up to 5 gallons (23 litres) of homemade wine and beer. These beer finings and wine finings are enough to treat up to 5 gallons (23 litres) of wine. PLEASE NOTE: DESPITE IT SAYING BEER FININGS, YOU CAN ALSO USE THESE AS WINE FININGS! Where to buy Ritchies Beer & Wine Finings safely online? Shop at the Stirling Homebrew Shop if you are wondering where you can buy Ritchies Beer & Wine Finings safely online in the United Kingdom. Beer & Wine Finings - Ritchies Beer & Wine Finings in Homebrew Chemicals and Homebrew.